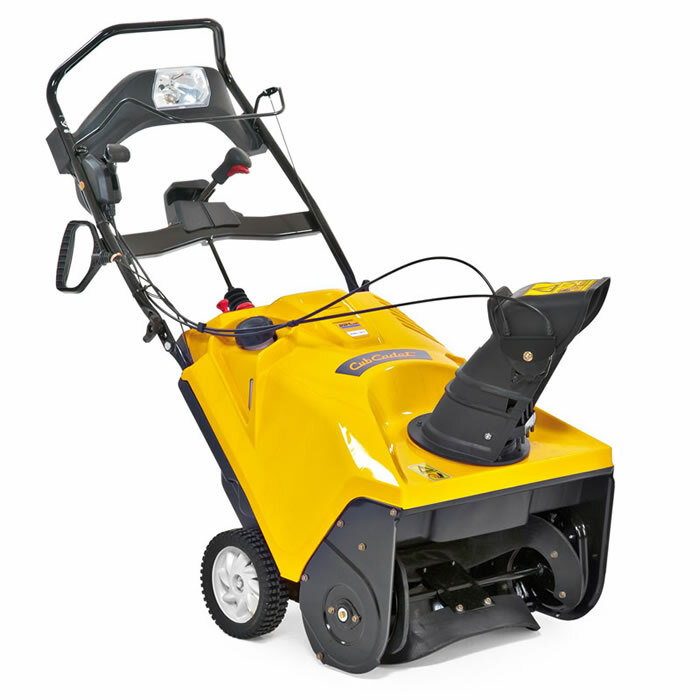 Cub Cadet 221 LHP Single Stage snow blower  Limited Stock Currently Available and Ready to Ship. The Cub Cadet 221 LHP Single Stage Snow Blower has a powerful 208cc overhead valve engine, which runs cool, clean, efficiently and economically and provides plenty of power to the clearing mechanism. A single-stage machine like this one uses a heavy-duty steel-reinforced rubber auger which both drives the machine forward and clears the snow, scraping right down to the surface for a back-to-black clean and shooting the broken snow up and out of a rotating snow exit chute, throwing it away from the machine and leaving a clear path. 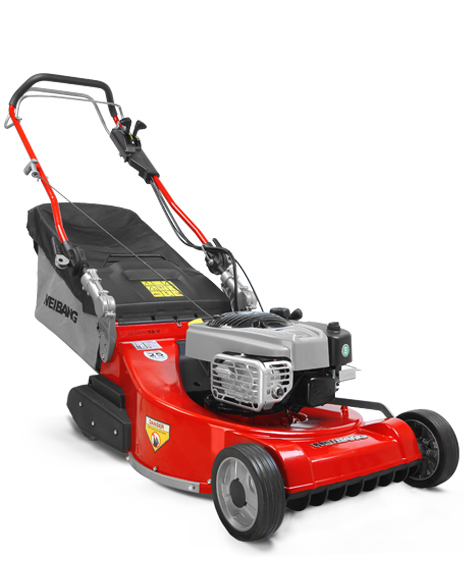 The clearing width is a generous 53.5 centimetres, which is ideal for removing snow from small to medium paths, yards or drives and the intake height is unusual at 33 centimetres so you can clear into deeper snow. The Cub Cadet 221 LHP Single Stage Snow Blower starts reliably and easily every time with its electric start and there are a number of top features included on it like the 190? rotating snow exit chute, enabling you to send the snow where you wish, which is controlled remotely from the operating position, as is the pitch control, altering the height of your snow stream. 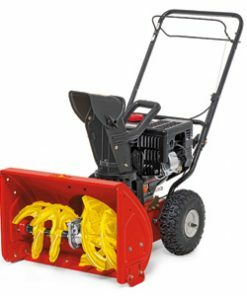 This practical and effective snow blower also comes with an in-dash headlight, enabling you to lengthen your working hours and enhance visibility in poor lighting conditions. The gull-wing style handlebars are height adjustable, enabling you to work at exactly the right height and saving on back strain.